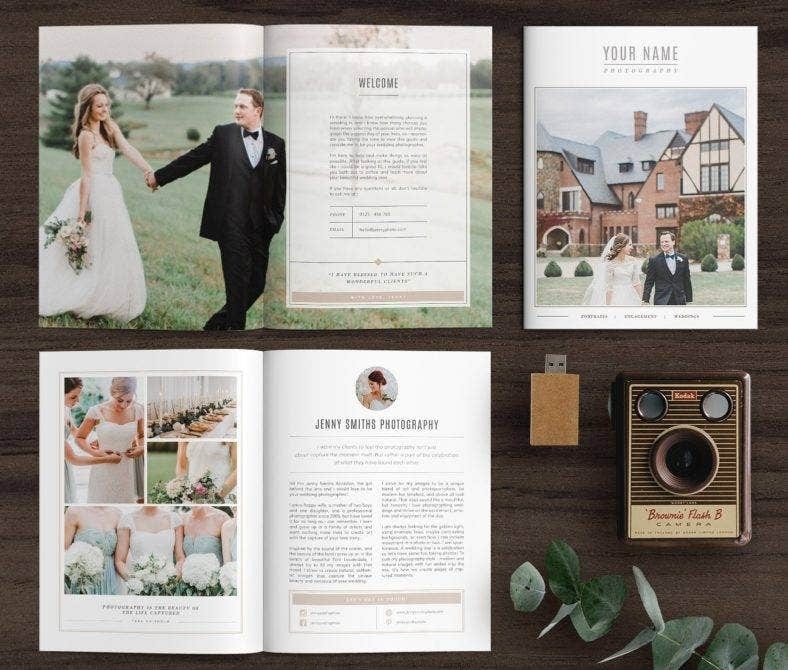 Technology has definitely taken us far, and that is obvious in how prints can be read on our mobile devices right now. 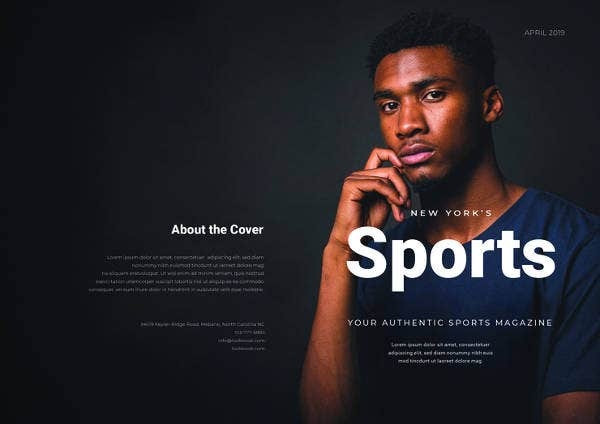 Even though magazine companies still publish actual prints, they have also created digital versions of them to cater to audiences who prefer to read a copy on their devices. But even if the digital age has taken over all types of media, printing these publications is still an important matter that people should keep for ages. There are people who prefer prints over digital formats and vice versa, so it is a great move to cater to both audiences. You may also see beautiful travel magazines. 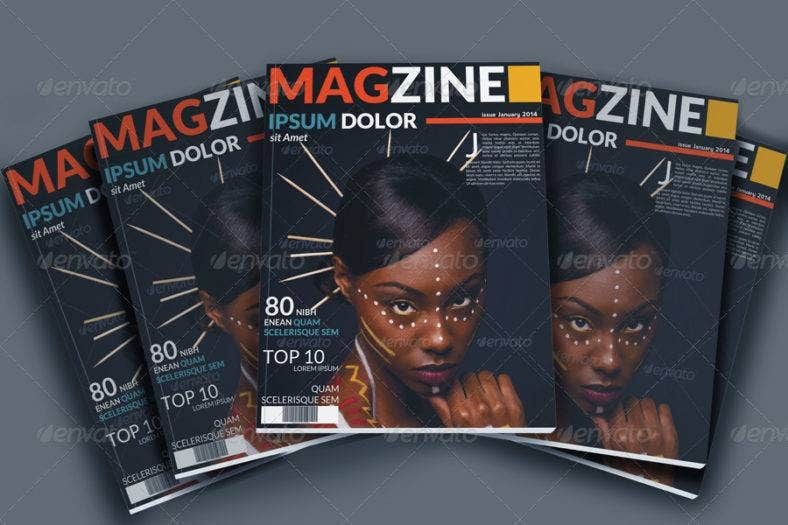 In this article, we have curated a list of magazine templates in PSD, which is an (Adobe) Photoshop Data file (Extension). 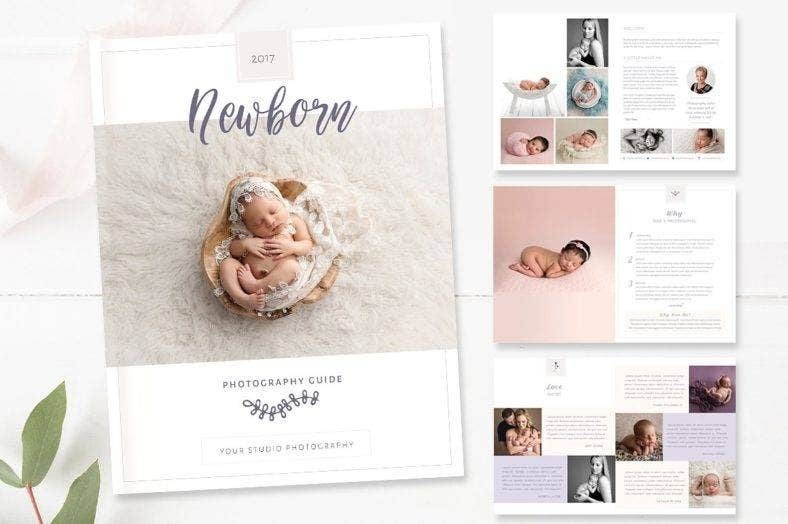 You can edit these templates using Adobe Photoshop and have them printed or have them uploaded in your site so people will be able to download and read them in their devices. Have you ever wondered what the first magazine is? Well, there’s two of it. The first ever magazines were the ‘Tattler’ and the ‘Spectator’ which were published in England. The reign of magazines in the last third of the eighteenth century was known as the Golden Age of magazines. But, just as what technology usually does, its overwhelming power drove the magazines to slowly fade. By 1950’s, the television usurped the national audience and several magazines catered to general interests eventually ceased publication after costly circulation wars. Advertising companies focused more on using television as their medium rather than magazines. The magazines’ value has not waned and is still informative and entertaining as ever. But, ever since technology took over different media platforms, publishing companies took the initiative to ride the wave and adapt to changes. Today, magazines are published both in printed form and digital ones. 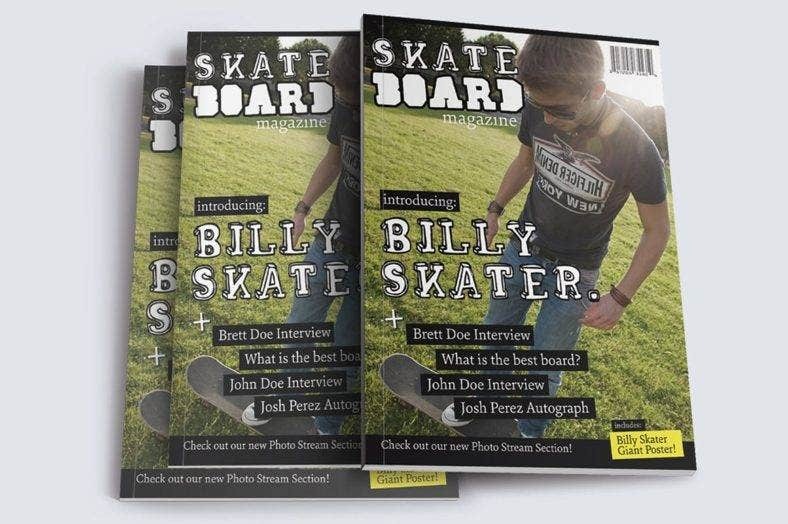 You now have the option to either buy the magazine in an actual store or download it from the website of the company or websites that sell digital files of the copy. Consumers can view the downloaded files on their smartphones, tablets, laptops, or computers. It’s a conventional method that allows the consumers to easily access the magazine anywhere and anytime they want. You may also see college magazine templates. Magazines can be categorized in several ways. One way to categorize them is by their functions, such as news/information, advocacy/opinion, or entertainment. The relationship between the content and the audience can also be considered. There are also city or regional magazines and news magazines. There are magazines that are given away for free, which are called controlled circulation, and there are also those that carry no advertisements. And finally, there are the company magazines that represent a burgeoning are of magazine publishing and there is also business press. A magazine is only a single medium in a large pool of innumerable published works. They are made to inform and persuade their readers with their various advertising contents as much as they are made to entertain the readers with their in-depth research about issues and situations that daily newspapers don’t have much time to dig into. And since magazines don’t come out frequently more than once a week, the writers and editors of the magazine company have more time interpret and elaborate the events that they feature in their content. 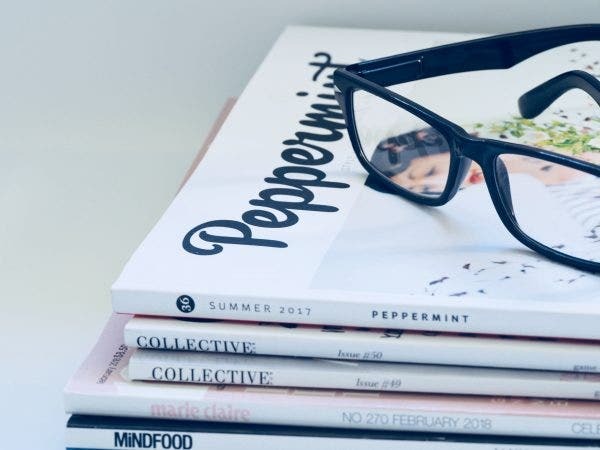 Normally, the contents of a magazine are curated that they reach national, regional, state, and city levels to cater to everyone’s interest and to be able to spread the information as far as it can. 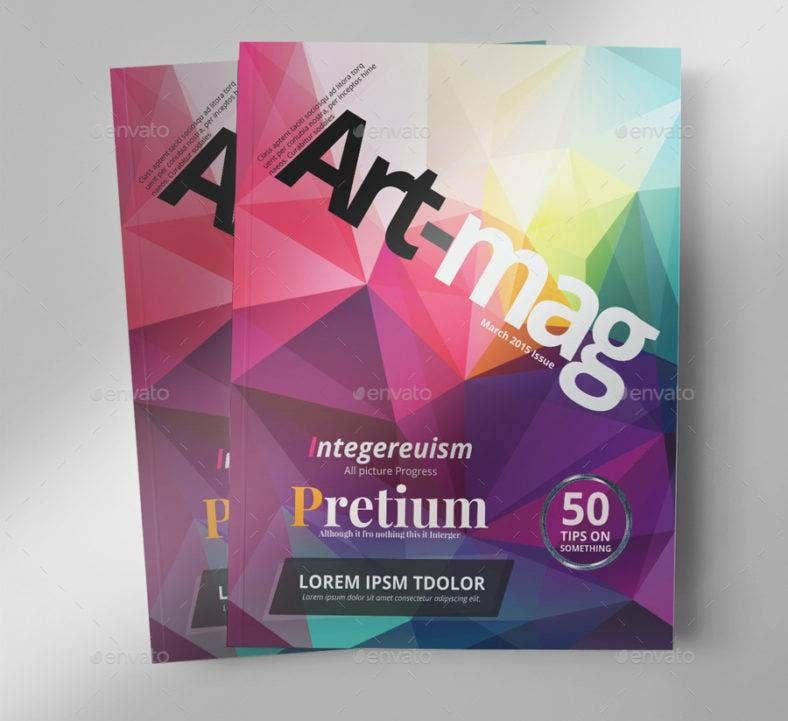 You may also see art magazine templates. Ever since the first creation of the magazine, one of its main purposes is to entertain the readers. 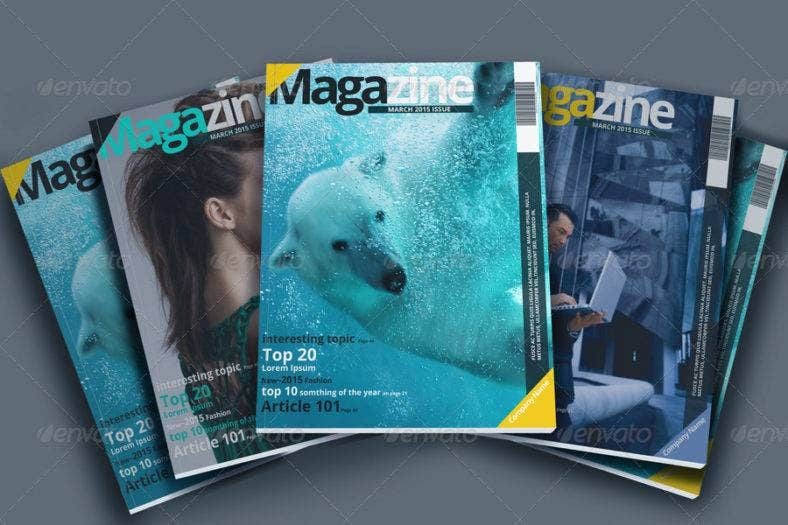 The content may vary depending on the target audience of the magazine company, but there are magazines that cover all different topics in one magazine issue. 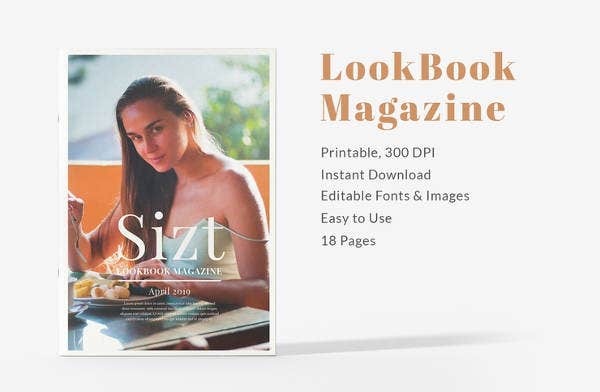 Some of the contents that are included in the magazine are photography topics, travel tips, clothing selections, jewelries, celebrity gossips, and the latest trends. It’s entertaining in the sense that it covers a lot of interest for the readers and lets them explore other areas as well. Also, there are advertisements that are catchy and entertaining that may compel the readers to purchases whatever product is promoted. You may also see business magazine templates. Not only is the magazine made to inform, but it also has the purpose to communicate with the readers. Because of its various contents, it can reach out to people by hitting their interests. 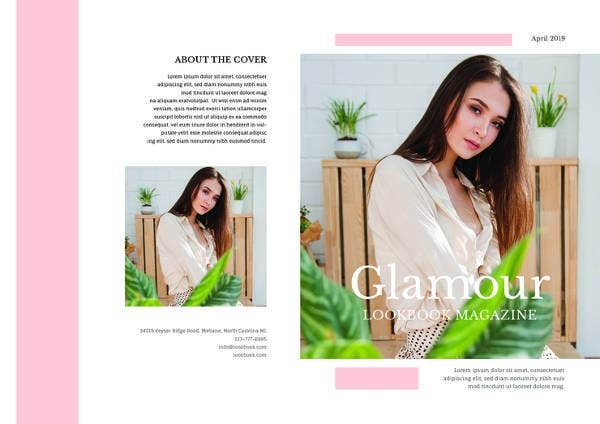 And, since people are more attentive to photographs than words, magazines contain a lot of appealing pictures that the readers will surely enjoy. There are also contents that put different topics into perspective and invokes the readers’ thoughts. Social issues are also raised to promote awareness on certain topics. Out of all the prints, the magazine has the potential to last long in this digital age because of its entertaining and informative content and ability to reach out to the readers. 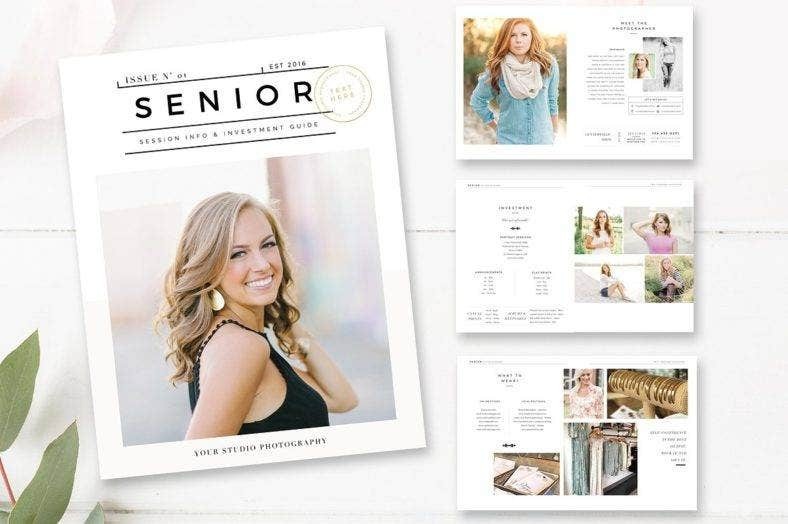 You may also see magazine portfolio templates. Although all magazines share certain basic problems of production and distribution, their editorial content and advertising are of many hues. Even trying to group them into categories becomes difficult because inevitably there is overlapping, and a few magazines almost defy classification. You may also see corporate magazine templates. These types of magazines have family-friendly contents that entice the family to have it in their homes. Examples of the contents feature activities that the family may want to try out during the weekends or the holidays where they have a lot of free time; housing advertisings that they might want to consider moving into; an array of toys that the parents might want to buy for their children; household items, tools, and appliances that the family might consider buying to replace the old ones; or some clothing ads that compels the family members to purchase immediately. You may also see magazine layout templates. Other than materialistic contents, there are also sections of this type of magazine that focus on personal development for the family members such as tips for the children on how to have a harmonious relationship with their siblings or pieces of advice on marriage. And since this is a magazine, there will always be an entertainment section. These could be games or news about the latest game console or fun facts about celebrities. There’s so much content that general family interest magazines can contain that it’s might even be impossible to fit them all in the limited number of pages. 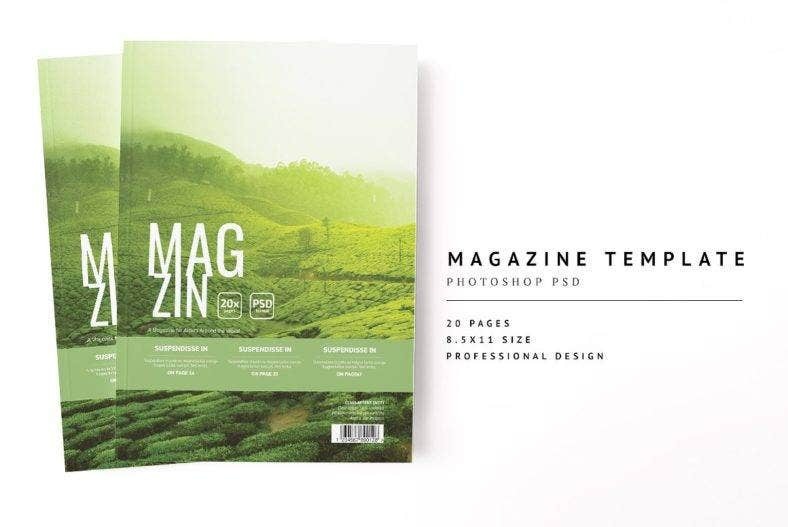 You may also see magazine PSD templates. As what the title says, this magazine contains news that usually encapsulates issues from the national level down the cities and towns. Compared to the daily newspaper, news in the magazine are more in-depth and elaborated. Magazines are not published daily, so the writers and editors have more time researching the issues and as a result, they have a much more detailed article. 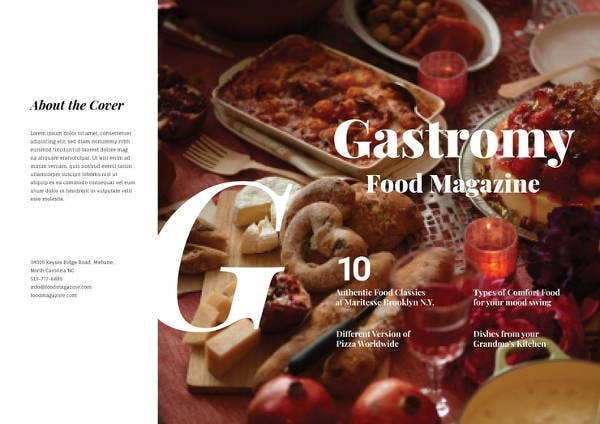 You may also see food magazine templates. If this isn’t the most commonly published type of magazine, then we don’t know what is. One of the reasons why magazines sell is because readers are fond of looking at the pictures. Thus, magazines contain a lot of pictures and have fewer descriptions. A picture paints a thousand words, right? 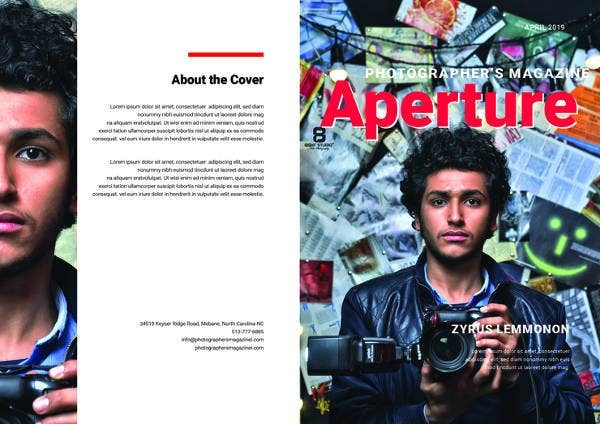 Since photography is a broad topic, we will narrow down some of the common subjects or themes in a photography magazine. 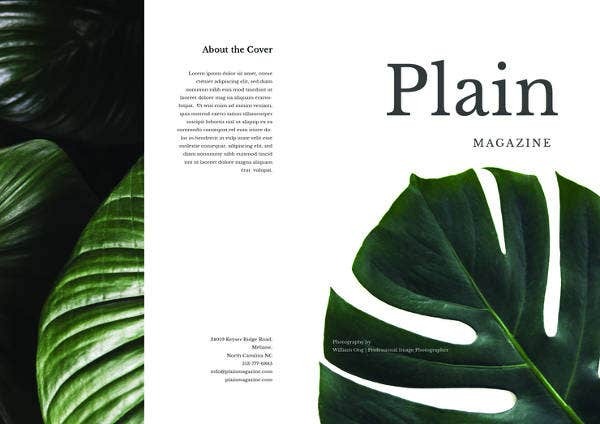 You may also see blank magazine templates. 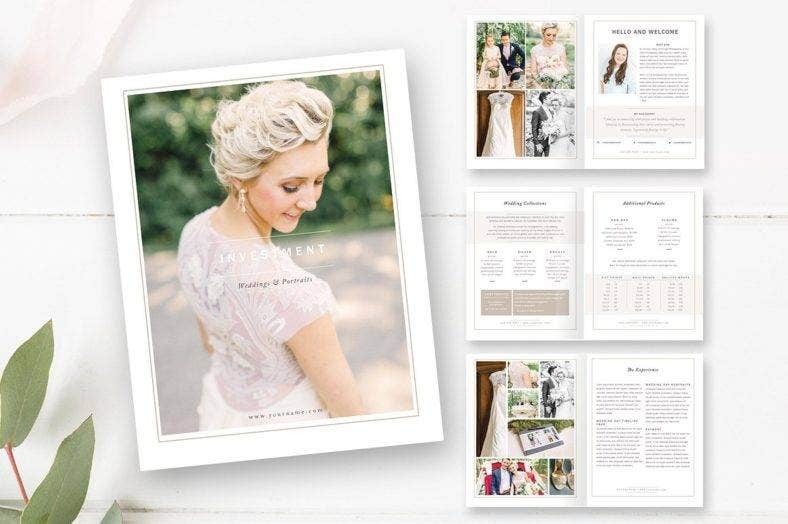 In a wedding magazine, you would usually see photos of the bride and groom, the venue of the wedding ceremony and the reception, family members of each side of the couple, and other moments during the wedding. The wedding photographer captures even those that are worn by both the groom and the bride, such as the wedding gown, the tux or suit of the groom, the wedding rings, even up to the shoes. These photos are creatively captured to create a dramatic and whimsical vibe. It is a special moment, after all. It needs that kind of atmosphere for the photos. Aside from the grand moment of union, there are special moments that are usually hidden like a slight glance between the guests, whispers during the ceremony, or silent tears as the bride and groom each say their vows to each other. There are just too many moments happening during a wedding that it’s hard not to capture them all. As the photographer, it’s an honor to be part of such a memorable event and to immortalize it through the magazine is a humbling experience. You may also see health magazine templates. Children’s magazine usually contains toys, clothes, and cartoons. It doubles as a catalog or brochure that the parents would also love. The kids will definitely be entertained with cartoons especially those of their favorites. There are also games that the kids can play, like simple crossword puzzles and even cutouts that they can play with. 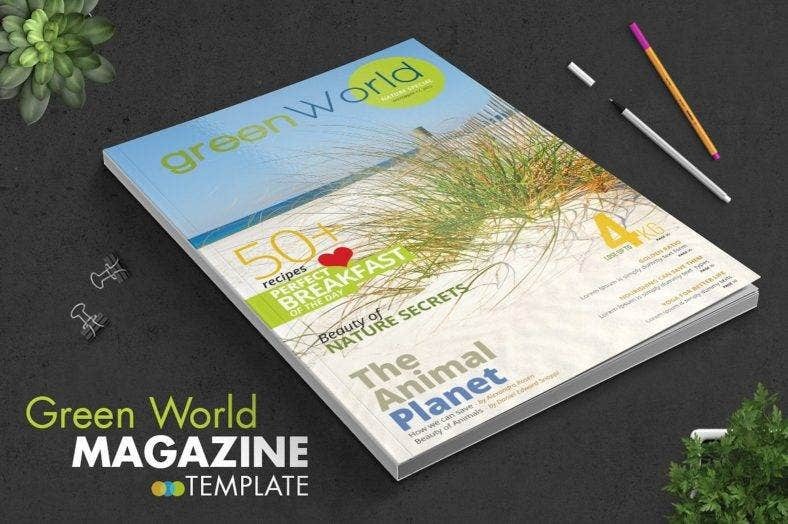 You may also see magazine cover templates. Runways. Models. Clothes. Shoes. These are the items that are highlighted in this type of magazine. This kind of photography magazine focuses on the clothes, obviously. This magazine also features models. Otherwise, what’s the point of making it? There might also be a transcription for interviews with the designer of the clothes and the models. Who doesn’t want to travel? Once you see an ad of a beach, a mountain, or even just a sight of an airplane outside your house makes you want to just abandon everything for the moment and go somewhere you can relax and be free from all the stress in life. There’s so much left unexplored that you wish you are rich enough to afford plane tickets and hotel accommodations or just the cheap ones so you can feast your eyes, heart, mind, and soul with the world’s beautiful treasures. 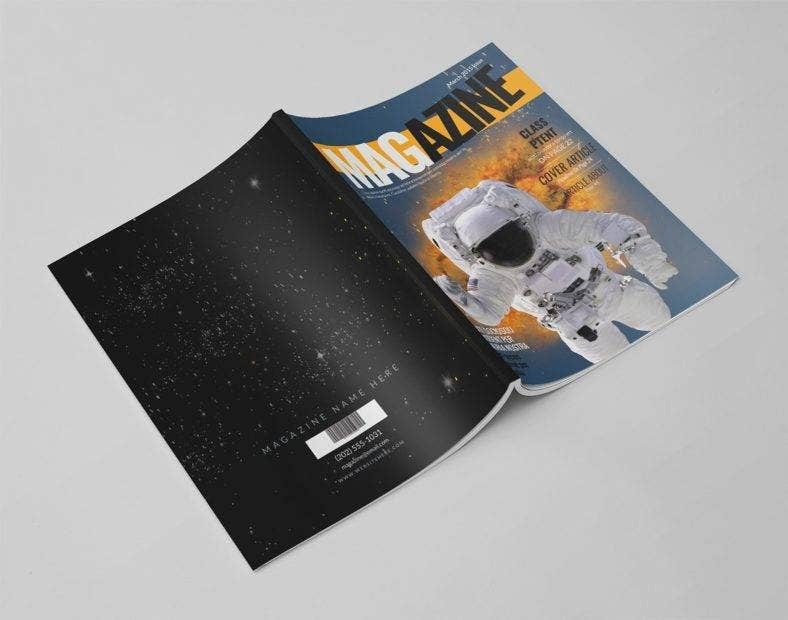 You may also see magazine after effects templates. You can see this type of magazine in airplanes, hotels, and tourist spots. 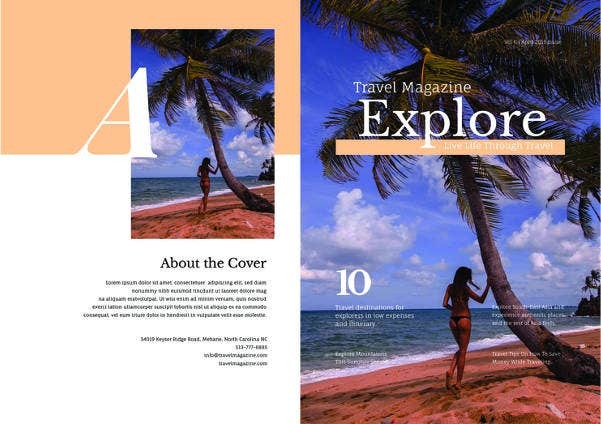 The content of the magazine can feature anything since the usual target audience for this is every travel enthusiast, regardless of which part of the world they are. It’s universal. Most of the content is sponsored by various traveling agencies or hotels. They create compelling offers to entice the readers to check-in their hotel or visit whatever tourist spot there is in their area. This type of magazine focuses on personal wellness above everything else. Want to know how to lose or gain weight? You can feature various diet plans that the readers might be interested in. How about exercises to maintain your figure or shed some pounds? Create an exercise routine that the readers can follow. However, make sure that you have consulted with experts regarding these matters because this is health we’re talking about. 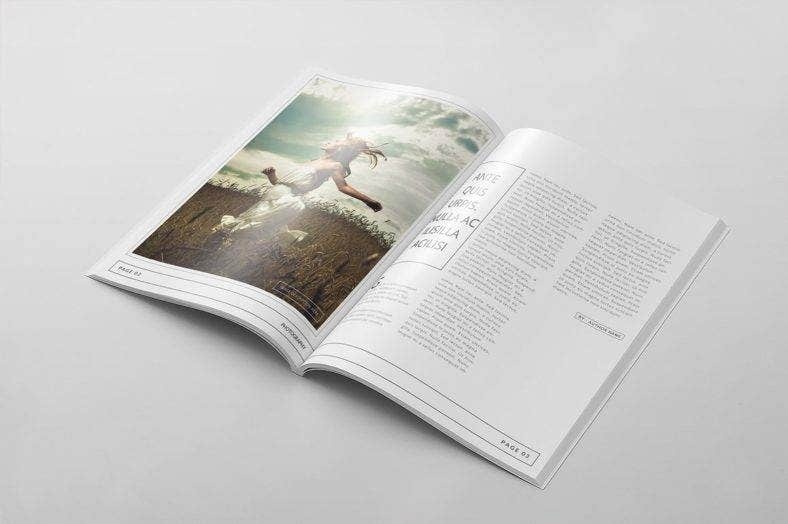 You may also see free magazine PSD mockups. Aside from physical health, this magazine also features mental and emotional wellness. Are you on the verge of breaking up with your partner? There are pieces of advice that you may or may not follow so you would have an idea on how to move forward with our relationship. Recently broke up with your significant other? There are tips that you can follow so you would be able to move on from the pain and so you can start over by taking care of yourself first. Self-love is the best kind of love that you can give yourself. 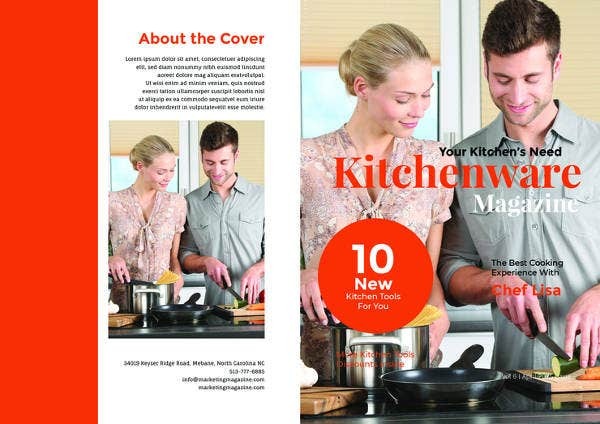 You may also see cooking magazines. There’s so much that you can talk about in this magazine that it sometimes gets overwhelming sometimes. But this is definitely the type of magazine that the readers will surely read over and over again especially if it has contents that they can relate to. You may also see marketing magazines. Don’t you have moments where you just want to have a house of your own? And the next thing you know, you are already typing keywords on houses and furniture on the search engine. We all want to have our dream house one day, and looking at these beautiful houses online makes you want to have it even more. More so, it makes you envious that such wonderful houses even exist and that you sadly don’t own them. Although that may be the case, for sure, we will be able to build the house of our dreams. You may also see architecture magazine template. In this magazine, the different parts of the house are featured, from the living room to the bathroom to the master’s bedroom. Everything is covered as long as there is consent from the owner of the house. Houses of celebrities and other famous people are commonly featured in this magazine. Also, it shows different house styles, such as Mediterranean, European, and Spanish, to name a few. Recently, tiny houses have even become a trend. These houses look small on the outside but it’s more spacious than you think when you go inside. You may also see news magazine WP themes. The architectural design and the interior design are also highlighted in this magazine. Have you seen the perfect matching color of the wallpaper with the couch? They are stunning! How about the secret compartment for the shoes? Innovative! Everything in the house should be featured unless there are private sections that the owners don’t want to reveal. This kind of magazine helps the readers conceptualize their own house that they want to build someday. Or, they could at least have ideas on how they want to renovate their current house into. And to add to that, it would also give them information about possible houses that are on sale. This magazine is full of advertisements for houses that there are a couple of promotions for condos and houses for sales in few of the pages of the magazine. You may also see food magazines. A sports magazine may encapsulate every sport know to humanity, or it may only focus one sport. Regardless of its scope, this type of magazine contains all the news about recent and upcoming matches, tournaments, or leagues. There may also be interviews with the athletes and some highlights of the games. This is also a great platform to feature sponsored content like the clothes, shoes, and accessories that the athletes have worn. Some readers will surely purchase some of them, especially if they are fanatics. The fashion magazine is all about style, fun, and innovation. Most of the content is about the clothes, the designers, and the models. Have you seen the new outfits in the Spring Fashion Show in Milan? How about the winter outfits featured in the Fashion Week in Japan? Have you heard the latest buzz about the upcoming designer? The fashion industry has a lot of things going on, and it may not even be enough to be covered in the magazine. There is more to women than makeup and clothes. You can distance your magazine from everything that’s cliché and instead, feature inspiring stories of women who have strived their way to the top and became the successful and powerful figures that they are now. Highlight stories of struggle that women experience from the patriarchal system. Give pieces of advice on how to shun people who catcall. Encourage them to fight back the prejudice, resist the oppression, and voice out any injustice. Be the voice that will push them to stand up for themselves. Give them power with your words. The world may have been slowly changing but there are still things that people need to be aware of. Let’s start spreading this awareness through your magazine and hope that your words will be able to reach people and wake their senses up. You may also see studio lookbook magazine. There are men’s magazines that feature stories or articles about men’s wellness and fitness. Aside from that, you should content that educates readers about being certain topics that degrade or insult women. Let us be civilized with our actions. Call them out on some of the problematic behaviors that men have shown since the beginning of civilization and give pieces of advice on how this can be changed for the better. And, although there are a lot of things that men have to be considerate and sensitive about, you should also remind that they can be victims, too. Promote equality without favoring a gender. That’s what equality is about, right? It about treating each other without bias and with the utmost respect. 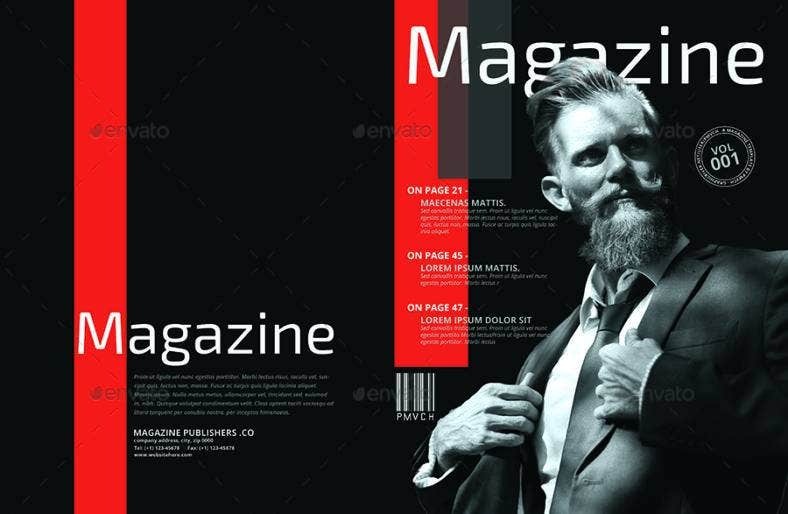 You may also see free magazine & book cover fonts. This is the type of magazine that features various products and services from different companies and organizations. It’s like a brochure or catalog if you think about it. This is a great promotional tool that will give every reader an array of choices and help them narrow the options down if they ever decide to purchase a product or hire a service. You may also see clothing magazines. The business press is all about the company who published it. The content may include new and upcoming products and services, upcoming events, possible job postings, the vision of the company, and other matters that the company wants the public know about. 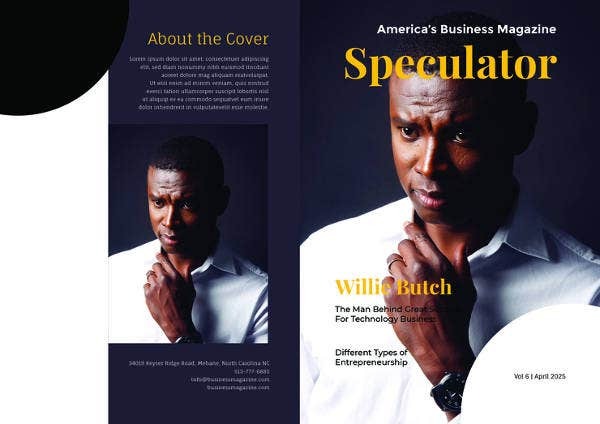 You may also see business magazine. 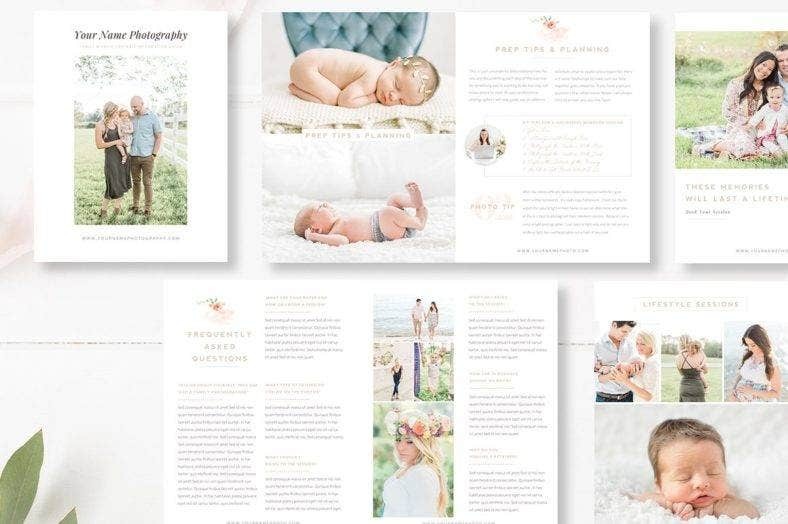 In this extensive list of magazine templates, you have more than enough choices to pick a design to use. These templates are accessible online, so they can be downloaded and edited anywhere and anytime you like. 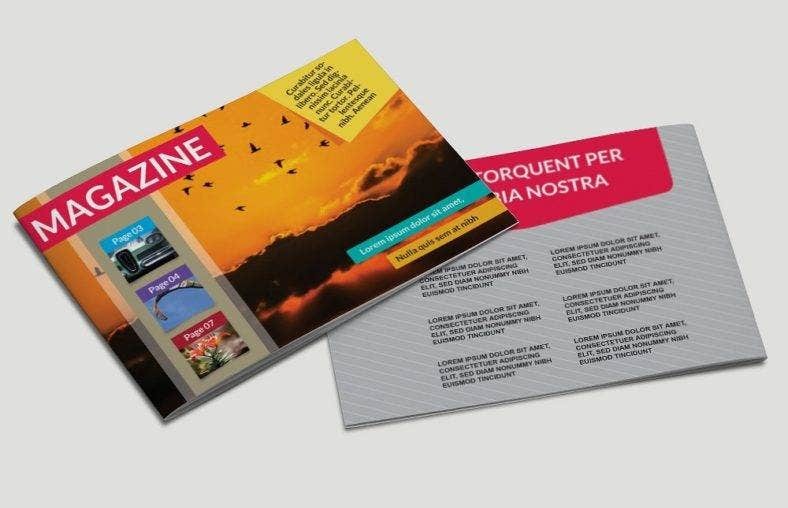 In choosing the template, make sure that it is highly relevant to the kind of subject that you want the magazine to have. 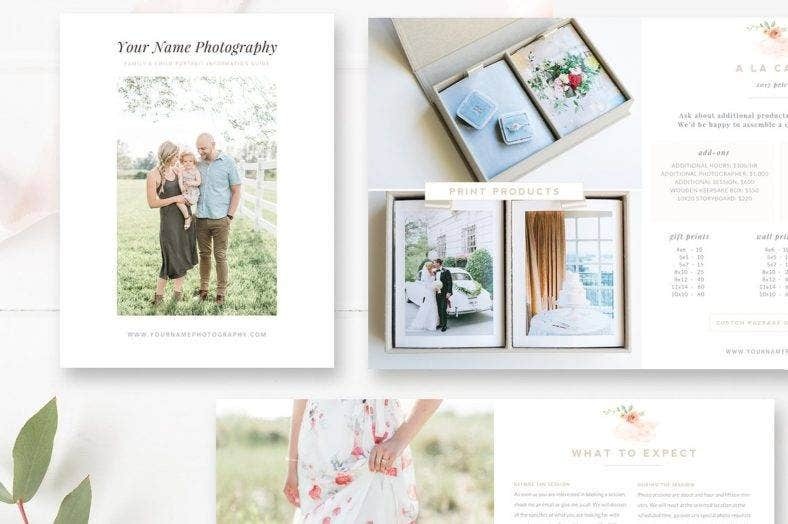 But, if the design that you like doesn’t have any relation to the type of magazine you want to publish, you have the option to customize the template since it is formatted to be editable. We hope we have helped you in choosing the magazine template for you to publish and we wish you all the best in your business’ success. Good luck! 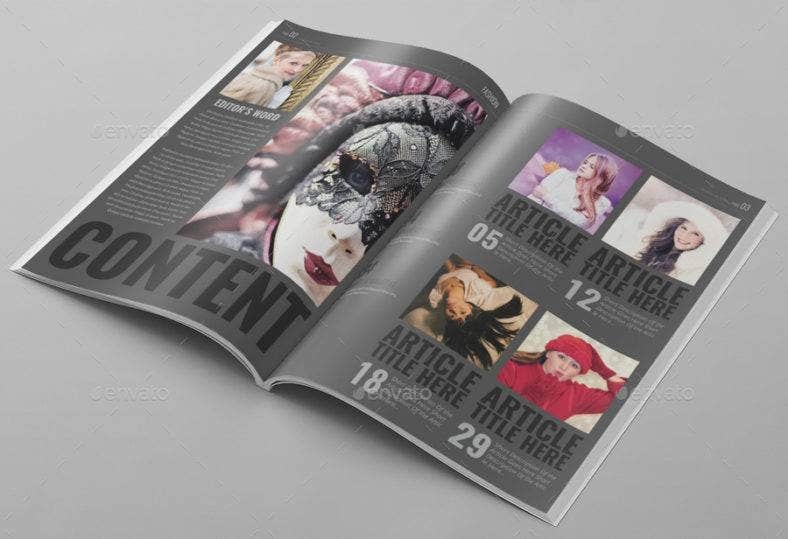 You may also see printable magazine templates.